How Does the Stop/Start Mode Work in the Ford C-Max? There are many misconceptions about hybrids. One misunderstanding is that the electric motor need not rest while driving around town. Though this is a concept that was once pertinent, it no longer applies to hybrids like the Ford C-Max. 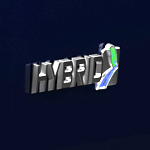 One of the principles learned since the introduction of the hybrid is the necessity of saving as much power as possible. With that idea in mind, Ford engineers initiated the use of the stop/start option that activates during long waits like at a stop light. When a delay occurs, the computer automatically shuts down the electric motor to conserve battery power. The concept has worked so well with the conservation of electrical power, the idea has moved to cars that use only gas engines as well. At Sheehy Ford of Warrenton, we maintain the programming necessary for your smooth stop/start operation during an extended wait in traffic.